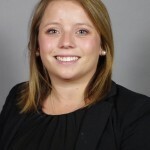 DRI Welcomes Danielle Ketterer as Project Manager - Direct Recruiters Inc.
Danielle Ketterer joins Direct Recruiters as a Project Manager for the Healthcare IT Practice. She works in collaboration with Mike Silverstein, Director, and fellow team members Kasey Fahey, Norman Volsky, and Brad Katz, to facilitate existing search assignments by sourcing candidates, qualifying candidates, and generating leads. Danielle excels at forging new business relationships because of her personable and enthusiastic approach. Danielle earned her BS degree in Business Management and Leadership from John Carroll University, University Heights, Ohio. While there, she held many leadership roles on campus including a Senator on Student Union. Danielle is originally from Boston and is a big fan of all Boston sports teams. She enjoys traveling, concerts, outdoor activities, a day at the beach, and spending time with family and friends. To contact Danielle Ketterer, 440-996-0592 or dketterer@directrecruiters.com.